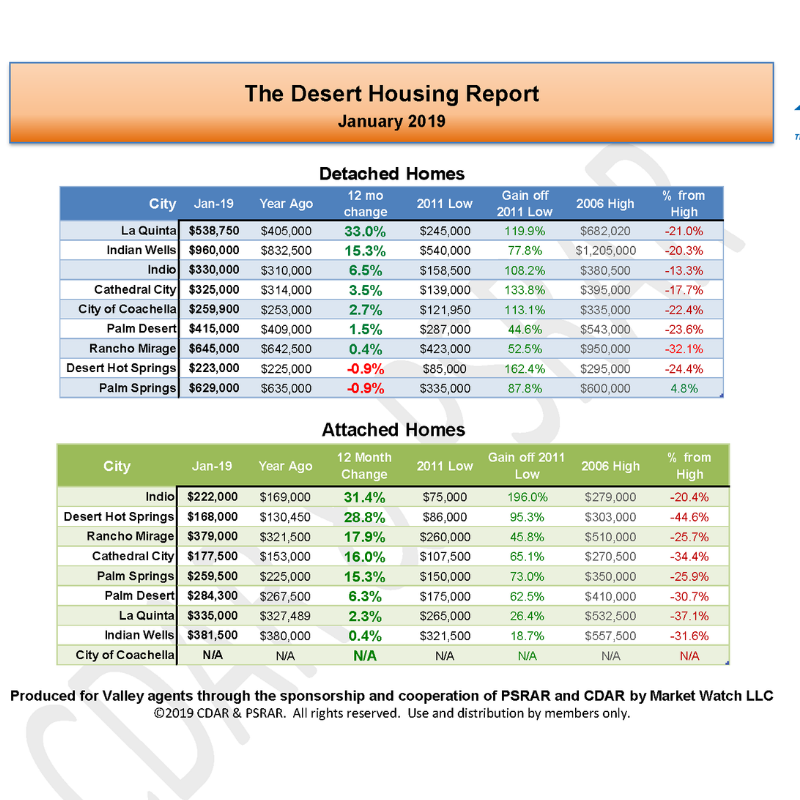 I am pleased to share with you the January 2019 Desert Housing Report. Appreciation has slowed down and the medium detached home price ended at $390,000 for the month, up 7.8% over last year. Cathedral City showed a gain of 3.5%, Palm Desert is up 1.5% and Rancho Mirage is up.4%. Palm Springs showed a bit of a reversal with a -1%. Total sales over the last three months averaged 637 units/month compared to 745 units/month last year; a decline of 14.5%. Median number of days on the market in January was 60 days. It remains a Seller's market. We are seeing a shift in the market and the next 3 months will validate that shift. If you have any questions or concerns please let me know. If you are considering selling give me a call and we can plan a time to meet and discuss.today's market and projections over the next several months. 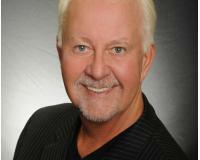 If you know of someone looking to buy, sell or invest in our Desert Paradise or any other destination worldwide our local and international network of real estate services is available with one call: 760-861-2027. I look forward to being of service.